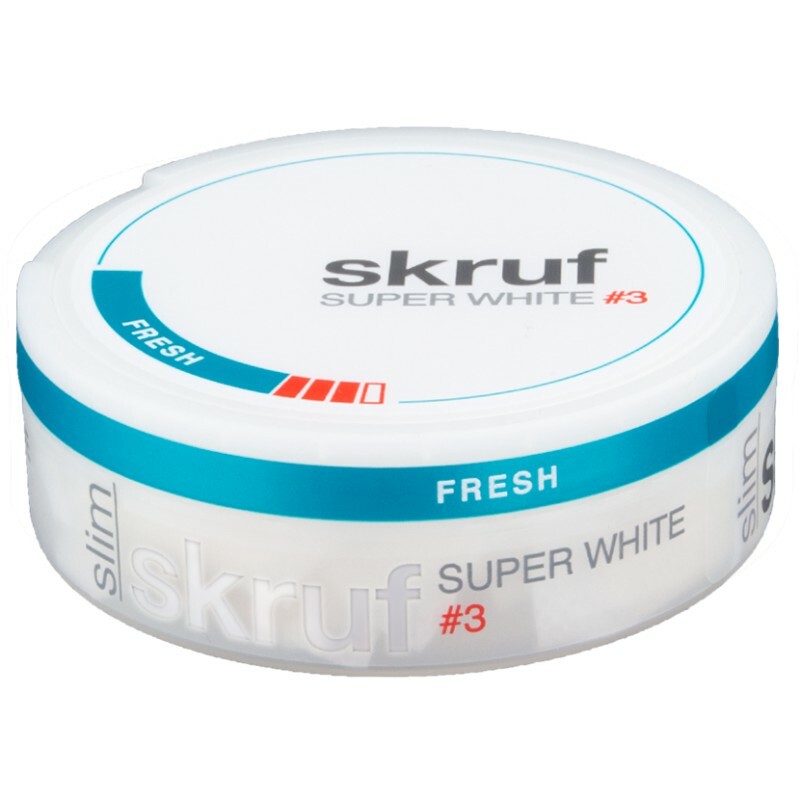 Mint with a fresh aftermatch, Skruf Super White Slim Fresh #3, Skrufs own all white product without any tobacco! Ingredients Water, Plantfibers, Humectant (E 422/E 1520), Salt, Nicotine, Flavors, Salmiac, pH Adjuster (E 500). Apearently there is a product thats whiter than white, it's called -Skruf Super White Slim Fresh #3. A tobacco free nicotine pouch with a mint flavor to keep you going, not to mention it's strong kick of nicotine. Packed in slim portions for comfortable use.